There's too much TV to watch, and too many ways to watch it. To find the best streamer for your interests and your wallet, look no further. Apple’s announcement of its long-awaited streaming service will add yet another big player to an already-overstuffed business. Cutting the cord is no longer a radical act; according to a recent MPAA report, it’s now the TV-watching norm. However, cable still holds an advantage that streamers do not: It’s easy to use. Dozens of networks, all accessible through a scroll. No clicking through multiple platforms or apps. It’s a simpler world. For some, the answer is Netflix. It spends billions annually on content creation that’s designed to convince subscribers that the studio offers everything they’d ever want to watch. However, Disney+, Apple TV+, Hulu, Amazon, and HBO, among many others, are spending their own billions to convince consumers otherwise. As a result, watching TV can feel like running an obstacle course of clicking between apps and platforms, along with the challenge of remembering which show is where. It’s a problem that no amount of great programming can solve; in fact, the more that’s made, the worse it gets. It’s possible that Apple TV+ will prove to be a savior in that regard; as one analyst recently noted, “Apple is looking to become the cable box of streaming.” And like every other growing industry, at some point expansion will segue into consolidation. But for now, the golden age of TV is a bit of a mess. That’s why IndieWire has assembled this guide to what’s contained within the known streaming universe. It’s meant to give you a sense of what’s out there, what it will cost, and what you can get. It’s extensive, but it’s not exhaustive; all of this is subject to change, possibly while you’re reading this piece. 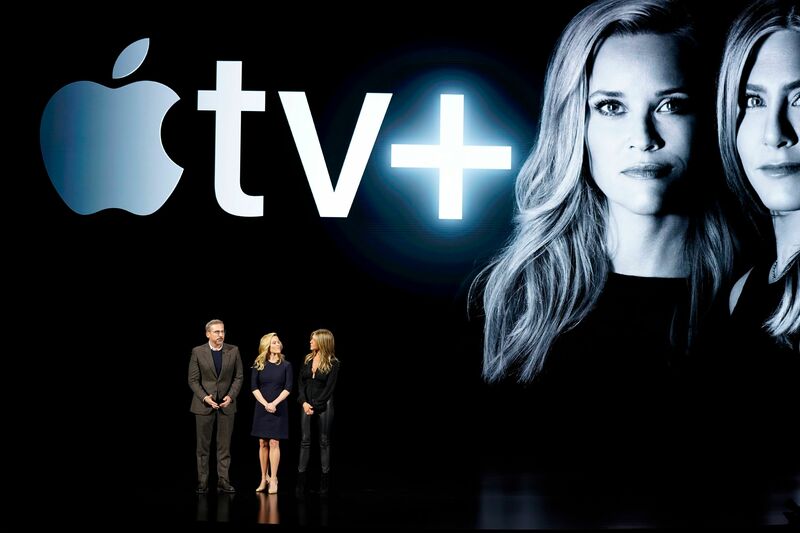 Steve Carell, Reese Witherspoon and Jennifer Aniston speak about Apple TV+ in Cupertino, CA, March 25. Netflix isn’t like anything else in streaming TV. As of its last earnings announcement, it has 139 million subscribers in 192 countries. The company spent $13 billion in 2018 to license or create content, acquiring exclusive access to the TV talents of Ryan Murphy, Shonda Rhimes, and Kenya Barris. To help cover those costs, Netflix issued $4 billion in junk-bond financing last year. It’s the one that Millennials and teens prefer over all others. However, the biggest streaming service’s most enduring production is Hollywood High Anxiety. Netflix is arguably the single biggest reason that AT&T bought WarnerMedia for $85 billion, that Disney bought most of Fox for $71 billion, and that nearly every other Hollywood studio feels like it is still a prime acquisition target. Netflix releases hundreds of original movies and episodic series every year, and for now, still offers plenty of content licensed from its putative competitors. Of course, it doesn’t offer access to anyone else’s channels through its own app. (It also declined the opportunity to be part of Apple+.) The app is available pretty much everywhere a streaming app can be accessed, and some places where few others can be found, like Comcast’s X1 set-top box. All other services — whether standalone channel, platform, aggregator, or something in between — wish they were Netflix. They’re not. That brings us to everyone else. Platforms offers bulk access to numerous third-party networks. It also may offer its own exclusive content, as Apple will, and as AT&T already does. Some platforms fall under the awkward acronym of vMVPD — virtual Multichannel Video Programming Distributors. Most were created by traditional pay-TV systems to keep cord cutters around, so they largely mimic traditional pay-TV systems. They give access to dozens of TV channels that provide traditional, so-called linear programming. They also may offer shows on demand, much as Netflix does, or allow it to be recorded through an online DVR. For $15 to $60 per month, these vMVPDs’ basic packages provide wildly varying subsets of the usual surfeit of cable channels. However, they typically don’t have many prominent networks, especially for their lowest-cost packages. This huge variability makes it nearly impossible to create apples-to-apples comparisons (never mind Apple’s to everyone else’s comparisons). These vMVPDs can be accessed through the web and through apps on streaming devices such as Roku, Apple TV, Amazon Fire, and Chromecast. Many platforms also are available as apps on Smart TV opening screens and through game consoles. DirecTV Now — Owner AT&T just hiked base package fees to $50 per month, for 47 channels, but that includes premium channel HBO. Other premium channels are $11 each. More expensive packages range up to $135 per month for up to 125 channels, plus a Spanish-language option for $86 per month. The base package includes channels from WarnerMedia, Disney/Fox, NBCUniversal, Viacom and CBS, local programming, regional sports networks and more. DirecTV Now offers a cloud-based DVR service to record programs for later watching, and one household can watch up to three streams simultaneously. FuboTV — Fubo investors include Fox, Sky, Scripps, and AMC, it just raised $75 million, and was first to launch overseas. The $44.99 base package includes more than 85 channels, including channels from the AMC, A&E, WarnerMedia, Hallmark, NBCUniversal, and Fox families. Fubo’s biggest appeal, though, is to sports fans. Even the base package includes Fox regional sports networks and FS1, NBCSN, and NBC Golf, the Big Ten and Pac 12 networks, CBS Sports, NBA TV, and the NFL Network, plus Bein’s soccer-focused channels. Add-on packages are plentiful, and most add even more sports coverage, in golf, cycling, the NBA, soccer, football, fighting, and more. A cloud-based DVR is extra, at $9.99 per month, and so is access to additional streams, at $5.99 per month. Hulu with Live TV — Hulu is, confusingly, a couple of different animals with nearly identical names. One is a $5.99 stand-alone channel with original shows such as Emmy winner “The Handmaid’s Tale,” plus a recent and deep library episodes of shows from networks such as ABC, NBC, Fox, and CBS. All that programming comes with ads, though fewer than on traditional TV. Like most online services, all that programming is available on demand rather than just at a specific time and night. The vMVPD offering is called Hulu with Live TV, and includes all that ad-supported library and original content, plus a $44.99 base package of 60 traditional linear channels, including plenty of news and sports. A DVR function with a 50-hour capacity is included, and two devices can stream simultaneously. More streams and more DVR capacity are add-ons, as are HBO, Cinemax, Showtime, and Starz. Hulu can be played from one of the largest groups of streaming devices, including Microsoft’s Xbox and Nintendo’s Switch, and Samsung and LG TVs. Importantly, Disney now owns a majority share of Hulu as part of its Fox acquisition. Programming plans for the channel and the platform remain unclear. PlayStation Vue –– Sony’s service was built atop its PlayStation gamer network and pairs nicely, especially for those who want traditional TV programming available alongside Fortnite or God of War. The “Access” package is $44.99 for 51 channels, including local broadcast networks’ programming, ESPN, CNBC, FS1, The Disney Channel, TBS, BBC America, AMC, and Discovery, among others. Sony touts its live-sports props, which can be further beefed up with the $49.99 “Core” package and a $10 sports add-on. Other add-ons include premium channels Epix Hits, FX+, Showtime and HBO, and an “Español Pack.” The service is available beyond Sony game consoles, but there are some limits on how many devices can be used with a subscription. As well, PS Vue is available on most major streaming devices but not, unsurprisingly, on competing game consoles. PS Vue has one of the most liberal policies on simultaneous streams, allowing up to five. Philo –The smallest vMVPD in terms of subscribers, Philo is the anti-Fubo. Its base package of 44 channels for $16 a month includes networks from Viacom, A&E, Hallmark and Discovery networks, but not from Disney, CBS, Fox, or NBCU. That means no news or sports. Philo doesallow unlimited recording, program saves for 30 days, and up to three simultaneous streams. Backers include HBO, Mark Cuban, and Facebook co-founder Andrew McCollum, now Philo’s CEO. Sling — DishTV’s offering is the cheapest and most popular of the vMVPDs, at $25 per month for 54 channels, including ESPN, FX, AMC A&E, IFC, Lifetime, Bravo, SyFy, and NBCSN. Smaller groups of channels are available for $15 each, with several themed-channel groups, including Spanish-language, sports, lifestyle, and kids available as add-ons for $5 each. A digital DVR service also is available for $5 more, as are NBC and Fox local programming. Premium channels such as Showtime and Starz (but not HBO) are available for even more. Sling is the Spirit Airlines of vMVPDs, cutting prices on the front end while exacting plenty of additional fees later on. As with Spirit Airlines, how much you like that model may depend on your expectations. YouTube TV — Google has been aggressively pitching its vMVPD business since its relatively late arrival in spring 2017. The base package has more than 60 networks for $40 per month, including local sports and news. One particularly attractive feature: bottomless cloud-based DVR services for up to six accounts in a single household. YouTube TV is available on most platforms, including Xbox and several manufacturers’ smart TV models, as well as the usual streaming suspects. IT’s not available in all areas, however. It launched almost exactly two years ago in 10 big markets, and has been slowly rolling out elsewhere since. This subspecies of video platform have a huge amount of standalone content, but also connect users to easy subscription signups for other standalone channels. Taxonomic purists might include Hulu with Live TV here as well. The biggest hybrid is Amazon Prime Video, which comes as part of the annual $120 Prime subscription fee and provides free access to about $5 billion worth of movies and episodic series, including Amazon’s own “The Man in the High Castle” and “The Marvelous Mrs. Maisel.” Under studio head Jennifer Salke, upcoming exclusives will include a lot more Sundance indie feature pickups, but also event episodic series such as a pricey “Lord of the Rings” prequel set in J.R.R. Tolkien’s Middle-Earth. The hybrid part comes from the Amazon Prime Video Channels offering, which allows Prime viewers to subscribe to about 150 other standalone channels through Amazon’s interface. It’s essentially a Build-Your-Own video experience, and per-service prices can add up quickly at $3 to $15 per month. It’s been hugely lucrative for Amazon, which takes a cut of every subscription and, according to one recent study, drives as much as 55 percent of the signups for those other channels. Apple’s TV+ clearly hopes to replicate that success with its simple signup/billing process, though Netflix opted not to participate. If that business model sounds familiar, it’s pretty much exactly what Apple is trying to do. Of note, the two companies agreed to put the Apple TV app on Amazon Fire devices, and in turn allow Amazon Prime Video’s app on Apple devices. As part of the Apple TV+ announcements, its three-year-old Apple TV app has been significantly expanded, and will showcase the best content from many services. It also will make it easy for customers to sign up and pay for dozens of third-party subscription channels within the app (other than Netflix, of course). Customers of several traditional and virtual MVPDs (but not the biggest one, Comcast) can connect their channel packages directly to the app, adding to the array of programming that will be recommended to them each day by Apple’s editors. Amazon gives away its $5 billion in programming for a flat $120 per year on the Prime service, and we don’t know what Apple will charge for its $1 billion in family-safe programming when TV+ arrives. Some reports speculate the shows would be available free for the 1.4 billion people who have an Apple device and user account, but that’s unconfirmed. Cinedigm, which just paid $60 million in cash and stock for Future Today, a two-year-old Bay Area company with 650 online channels. Together with Cinedigm channels such as the Dove Channel and Docurama, they reach more than 7 million viewers a month. Pluto.TV, which Viacom just bought for $340 million, is the biggest of the ad-based aggregators, with 12 million monthly views. Its programming is all linear, but there’s lots to choose from. Tubi TV remains independent, backed by a group of Silicon Valley venture capitalists. It recently said its library has more than 12,000 movies and TV series, all on demand, rather than streaming in linear fashion. Xumo claims 160 channels of live and on-demand content, and provides recommendations for those times when it’s hard to decide what to watch. Xfinity Flex is a $5-per-month device and service for internet-only Comcast customers. Like Amazon and Apple, Xfinity Flex wants to offer users an easier and more elegant user experience. It’s more likely that Flex is another complicated hybrid that will squeeze a little more revenue from Comcast internet-only customers so they don’t completely leave the family. (Comcast has 25 million Internet subscribers and 22 million cable subscribers, and that gap is likely to expand.) The price is right if one prefers yet another small subscription over buying a streaming device or a smart TV, and if being limited to the services and programming that Comcast makes available isn’t a dealbreaker. Once upon a time, a TV channel once required things like an FCC broadcasting license, or a carriage agreement with a cable operator. Today, operating costs and barriers to entry for online services are far lower: At one point, Roku would onboard a new channel if a company had just 50 hours of programming and $5,000. That barely qualifies as a barrier to entry for anyone in Hollywood or Silicon Valley short of, possibly, Angelyne. Thousands of channels later, the seemingly countless options on Roku (the least-curated of the external streaming connections) include its own free, ad-supported channel; at least five cannabis channels (plus Vape, for those who like to watch lava lamps bubble as they bake); two channels of aquarium fish; two more of crackling fireplaces; and separate “relaxing channels” for cats and for dogs, among many other pet-oriented channels. This is something of a Burgess shale moment, with an explosion of wildly diverse niche channels — though many, like their prehistoric metaphorical forebears, are almost certainly bound for extinction. In the interests of fleshing out our streaming TV taxonomy, here’s a few notable channels. CBS All Access — The company keeps adding more series based around the venerable science-fiction Star Trek franchise, but there’s also Jordan Peele’s reboot of “The Twilight Zone,” live programming, on-demand access to 10,000 episodes of CBS series, and other original shows such as “The Good Wife” spinoff “The Good Fight.” The base service comes with ads for $5.99 a month, and ad-free for $9.99. DC Universe — This service tries to feed the hunger of fans of DC Comics. It offers on-demand original series and library content tied to DC characters, including icons such as Superman and Batman, as well as digital versions of the company’s comic books, discussion forums and more for $7.99 per month. STIRR — This free, ad-supported service from broadcasting giant Sinclair is another hybrid of sorts. It features the live news, sports, and other local programming from each of Sinclair’s dozens of stations (in lieu of a local station’s feed, the service defaults to Sinclair’s Washington affiliate). The service also offers access to more than 30 other free, live, ad-supported channels, including some exclusive to STIRR as well as many of the usual suspects on other aggregators. But for remote access to local news, this is a great way to check in. HBO Now — The crown jewel of the cable era came to the streaming business, where it provides app-based, on-demand access to all the many shows and movies on the service, for $14.99 a month. Merger alert: As AT&T restructures its new acquisition and builds a WarnerMedia streaming channel, it’s unclear what happens to HBO Now. Epix Now — Launched in February by MGM-owned television network Epix, EpixNow has distribution agreements that cover many films from MGM, Paramount, and Lionsgate, but the only TV programming comes from the channel’s original shows like “Berlin Station” and “Deep State.” It currently costs $5.99 per month and is available for Apple and Google devices, and will soon be available on Roku and Amazon Fire TV users. FX Now — The online service from FX and FXX, the spikiest of Fox’s spiky cable networks, offers shows such as Pamela Adlon’s sublime “Better Things,” as well as every one of the 200 zillion episodes of “The Simpsons.” The downside is a cable subscription is required to use the app. Also, as Disney restructures its new acquisition and builds a Disney+ streaming channel, it’s unclear what happens to FX Now. ESPN+ — Disney’s first major streaming service is focused on what has been its single biggest TV success, its cable sports giant. The app costs $4.99 per month, features live baseball, hockey and soccer games, tennis, boxing, golf, talk shows, Sports Center, and original programming from noted TV creators such as Peyton Manning and LeBron James. Crunchyroll —This WarnerMedia service has found a big U.S. audience for its anime and Japanese drama programming, manga, discussion forums, news, and more. Access to a more limited array of offerings is free, but the ad-free, high-definition premium service is $6.95 per month to see everything. The premium service also makes new anime from Japan available as soon as one hour after original broadcast. Mubi offers “classic, independent and award-winning films from around the world” by curating a single film each day. For $11.99 a month, subscribers have 30 days to stream or download that day’s selection for free. Non-subscribers can also rent an individual film for $3.99. Recent offerings include a documentary about the influential Japanese pianist Ryuichi Sakamoto and films from Kurosawa, Bertolucci, Herzog, and Tarkovsky, as well as many lesser-known international directors. Of note: Mubi is partly backed by the European Union. Kinoscope — Among the most niche platforms available, Kinoscope offers a highly curated selection that will appeal to diehard cinephiles. Current selections include a look at the works of Peter Tscherkassky & Maria Lassnig, an entire Locarno Channel for the vaunted Swiss festival, and shorts given pride of place alongside the features. After a free two-week trial, membership costs $5 per month. Like Mubi, it also features longform writing from contributors, albeit less frequently. Filmatique — Also on the more eclectic, festival-centric end of the spectrum, Filmatique highlights independent and world cinema. While some titles will be familiar to well-versed viewers — “Oscuro Animal,” “White Sun,” “Ma,” and “Sun Don’t Shine” were all well received by those who saw them, to name a few — many others will be discoveries even to veterans of Europe’s festival scene. Available since 2017, Filmatique releases one new film each week and costs $4.95/month after a free 30-day trial. Just-launched Ovid.TV brings together the output of eight independent film distributors, including First Run Features and Icarus Films. The New Yorker’s Richard Brody enthused about the site, pointing to a string of films he called essential viewing, such as Wang Bing’s eight-hour documentary “Dead Souls.” A monthly subscription is $6.99. IMDB FreeDive is another Amazon initiative, launched recently on the IMDb website. It’s ad-supported, free, and features a wide range of licensed films and TV series (“Gilligan’s Island” to “The Commish,” “Tootsie” to “Lethal Weapon” to “Memento”), along with a smattering of film-oriented original documentaries. Shudder is AMC Networks’ horror channel. It costs $4.99 a month to take a gander at gorefests such as “The Texas Chainsaw Massacre,” as well as exclusive films and original series. Acorn TV — Not to be confused with the micro-investing app of almost the same name, Acorn TV offers what it describes as the best of British TV. To that end, its library includes both originals (“Blood,” “Loch Ness,” “Mystery Road”) and acquisitions (“A Place to Call Home,” “Doc Martin,” “Murdoch Mysteries”). A subscription will set Anglophiles back either $4.99/month or $49.99/year. 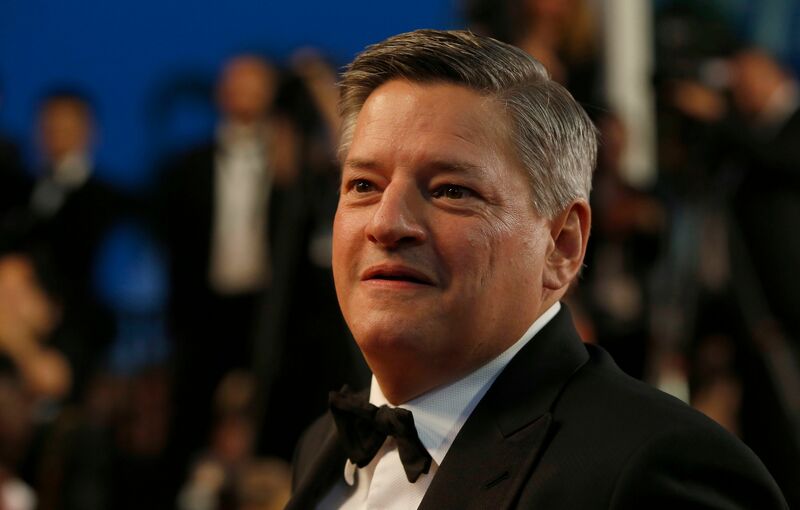 Disney+ — Disney is already pulling back content it licensed to Netflix and other outlets for this service, which set to debut in the fall. Disney also has invested heavily in streaming provider BAMTech, set “every corner” of the company to making original content for the service, and already lost hundreds of millions of dollars on streaming projects. Disney+ will feature all 32 classic films formerly rotated out of the Disney vaults, as well as Pixar, Marvel, Star Wars, and National Geographic titles, and content across all the main Disney outlets. Still unclear is where all the content Disney picked up in its $71.3 billion Fox acquisition will go. Some may make it onto Disney+; other material may end up on Hulu, which Disney now controls. Plenty of people will subscribe to the service when it launches (one analyst projected 160 million subscribers, eventually), but expect that to take quite a while, and for Disney to lose billions of dollars on streaming before it makes many billions more. WarnerMedia — Fox TV veteran Kevin Reilly is overseeing the streaming service rollout expected late this year. For now, the company has announced a confusing three-tier offering that won’t make marketing easier. But the company will be able to draw from franchises such as Batman, “Friends,” Harry Potter and “The Lord of the Rings,” plus the classic MGM library. NBCUniversal — Parent company Comcast already has an excellent cable box in the X1. NBC and Universal each have rich libraries, from “Minions” to “Jaws” to “The Office.” NBCU says something is coming; it just won’t be here until at least early next year. The Criterion Channel — The peerlessly curated Criterion Collection, long treasured for its lovingly restored classic DVDs, finally gets its own standalone service that launches April 8. Cinephiles were crushed when WarnerMedia closed FilmStruck, which usually had about 400 of the Criterion classics available at any one time. Now they’ll get the good stuff straight up. Pro tip: With a current library card from the city of Los Angeles and many other cities, free access to Kanopy, which features a big slice of the Criterion Collection and many independent films, is available. You can watch 10 films a month for free on Kanopy. It’s one of the best deals in the online video universe.